Sheer granite canyon walls peppered with colorful rock formations. Bighorn sheep hanging out on treacherous cliffs. Postcard-perfect landscape, perhaps with a glimpse of mule deer, elk, bobcats, black bears, falcons, and other wildlife thriving in the surrounding canyon. All this as you surge along channels of churning water atop a raft – whipping through rapids known as Big Drop, Zoom Flume, and The Toilet Bowl – followed by a calmer stretch of pristine river. 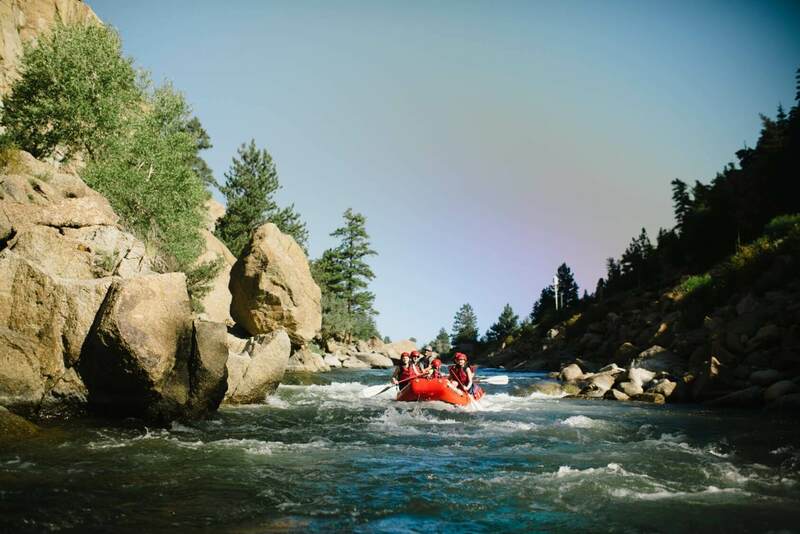 If this sounds like an amazing way to spend your day, then you’re ready for white water rafting the Arkansas River through Browns Canyon in Colorado. Browns Canyon in Colorado ranks as one of the most gorgeous areas in the nation, gaining status as a National Monument in 2015. It’s also one of the best-known white water rafting spots for its diverse range of rapids. You get soothing stretches of Class I rapids to soak in the scenery, mixed with Class II and Class III rapids where you’ll get the biggest thrills. Class I Rapids indicate moving water with small waves and riffles. Any obstructions are obvious and super easy to avoid, even as a newbie. Class II Rapids bring on a little more oomph, although you still get wide channels, a fairly clear path, and medium-sized waves you can move around easily. Class III Rapids kick up the adventure level another notch, with moderate waves and faster currents. With expert boat control, your guide can maneuver around the tighter passages, large waves, and stronger eddies you’ll find with this higher classification of rapids. Bringing extra layers of clothing is wise in cooler weather, picking a type of fabric that dries more quickly than cotton. Leave your camera, smartphone, and other electronics at home, or at least in the car where they won’t get soaked. The same goes for your wallet and ID cards. All American Adventure Expedition guests get life jackets and helmets on the raft. You can also optionally rent splash jackets, river shoes, and splash jackets if you wish. Another beauty of white water rafting Browns Canyon in Colorado is the ability to pick a trip length that suits your taste. AAE trip options include a half-day, three-quarter-day, or full-day trip. While reservations are not required, trips do book up quick! 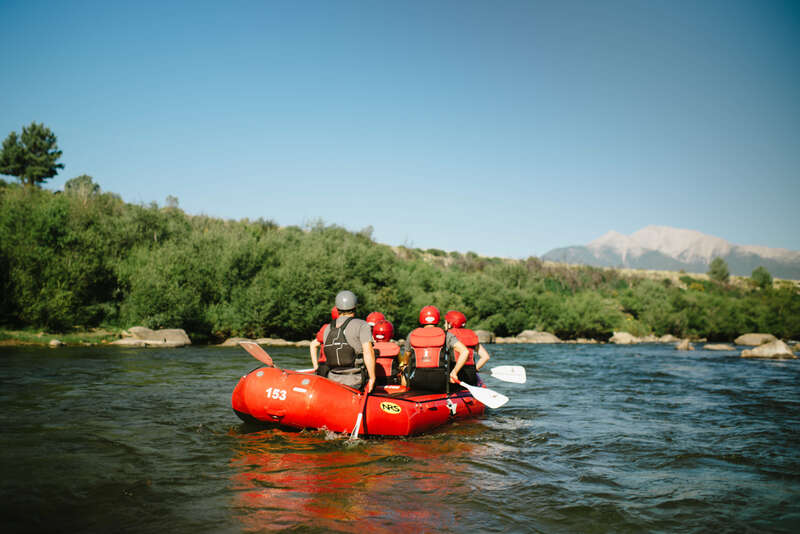 Make the most of your white water rafting trip by booking in advance, showing up about 45 minutes before the ride, and familiarizing yourself with how to get to our outpost. Our Browns Canyon white water rafting trips depart from the rafting outpost in the city of Buena Vista. Head to our website for directions, more info, or to book the ultimate white water rafting trip in Browns Canyon in Colorado today!